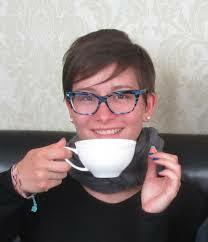 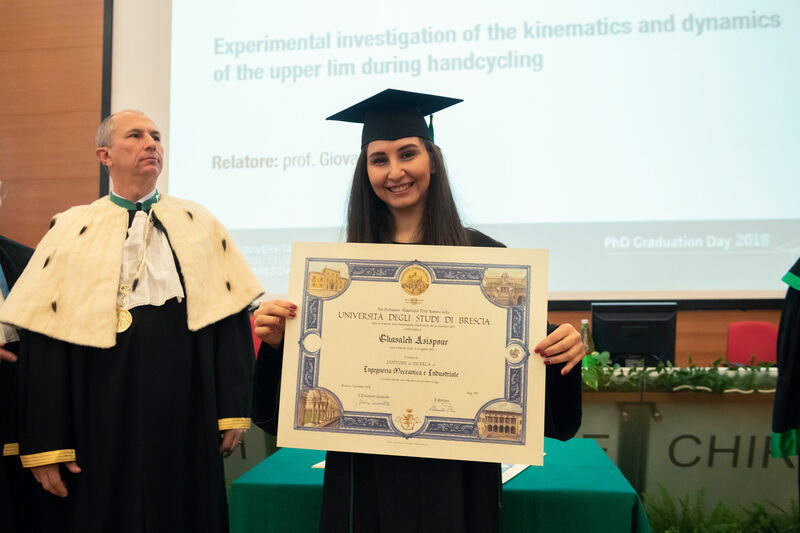 Marialaura Tocci (in the picture), research fellow of the Department of Mechanical and Industrial Engineering, was the winner of the “P. 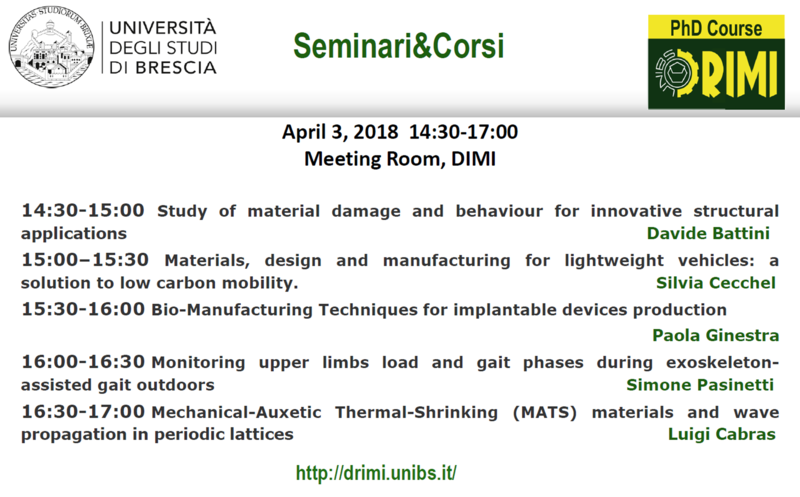 Spinedi” award 2018 promoted by the Italian Metallurgical Association (AIM). 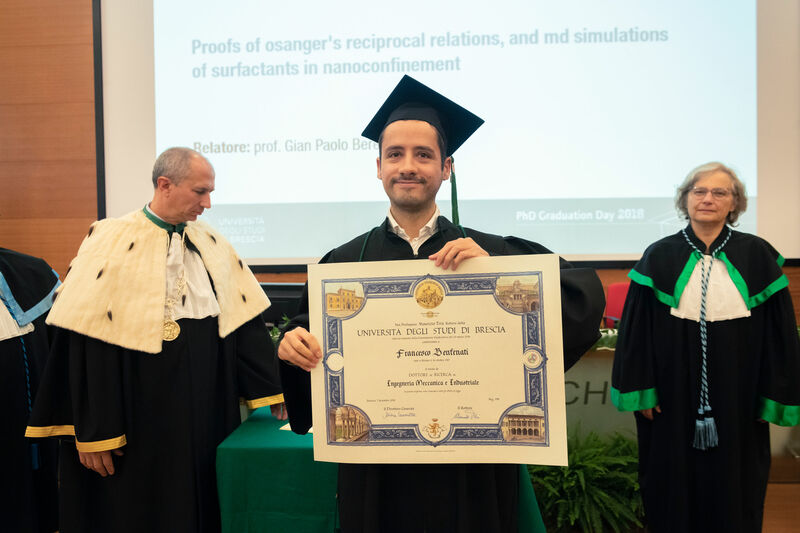 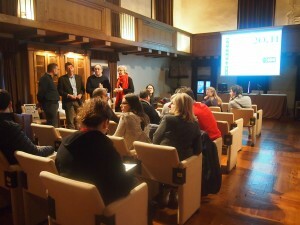 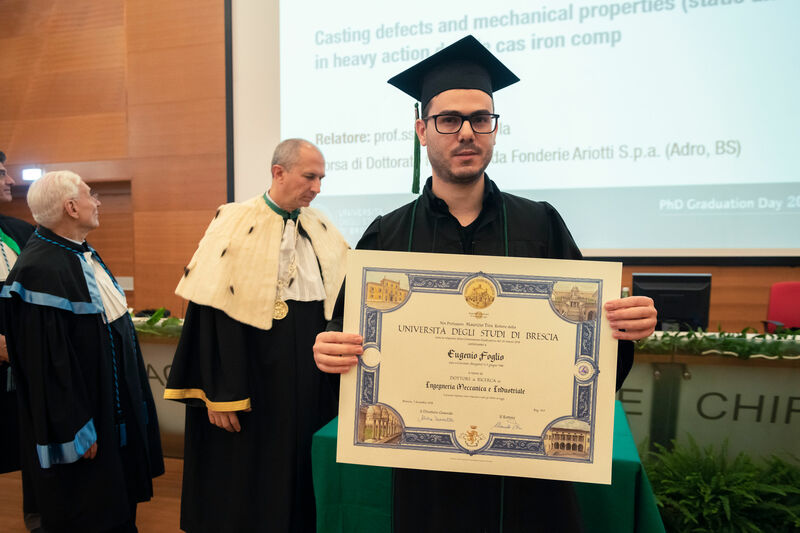 The award was established to honor the memory of Professor Paolo Spinedi, a Metallurgy professor of international fame. 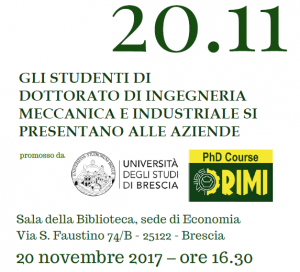 It is assigned to the most interesting and innovative PhD thesis in the field of fundamental and applied metallurgical research. 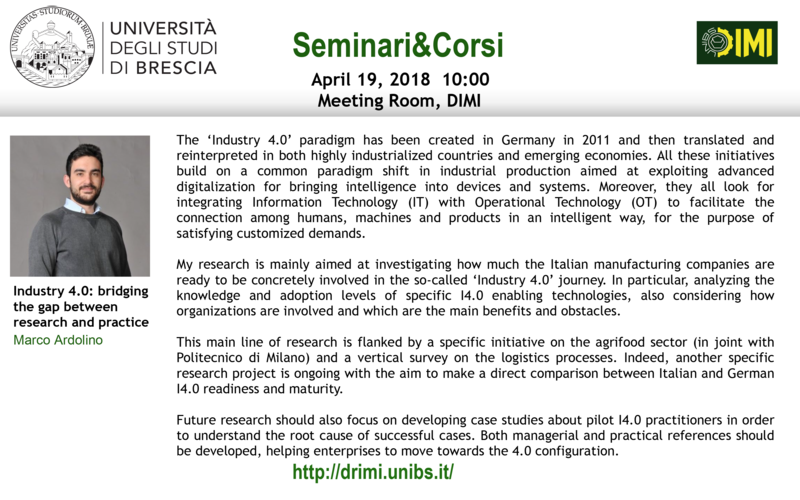 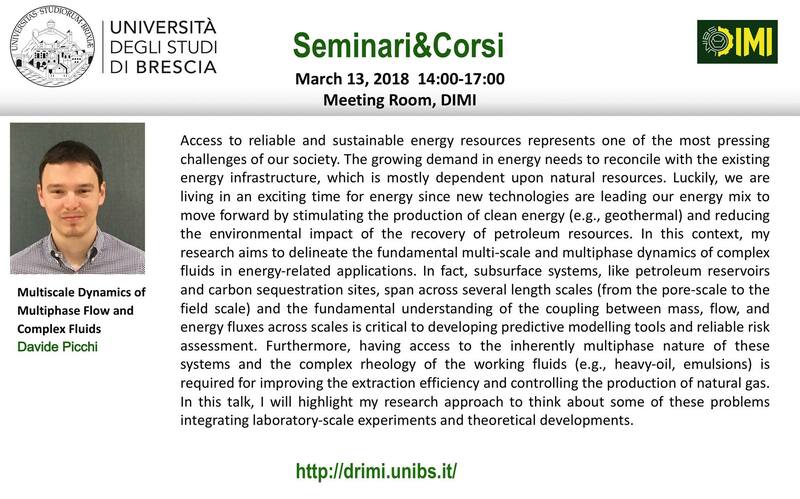 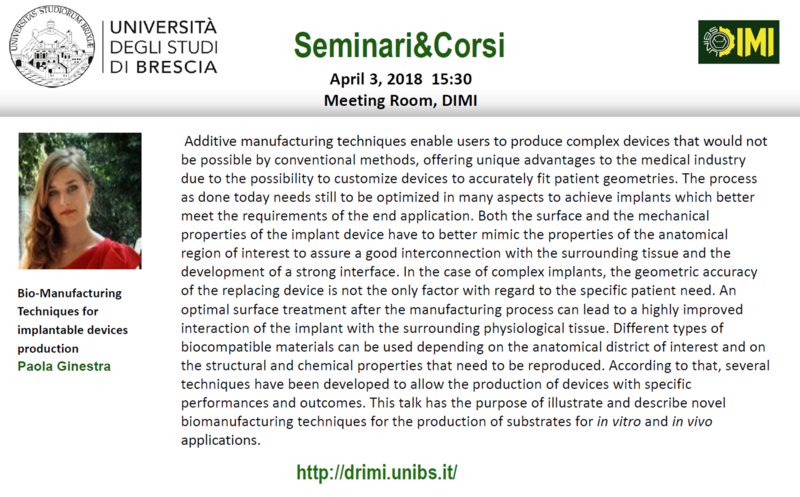 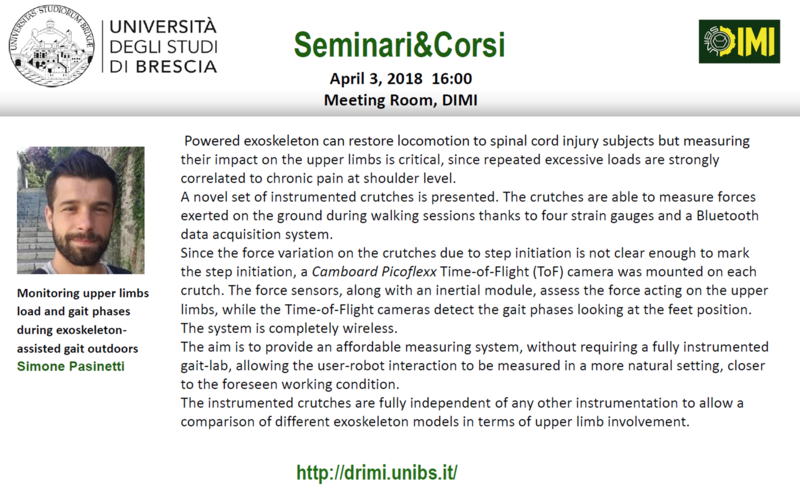 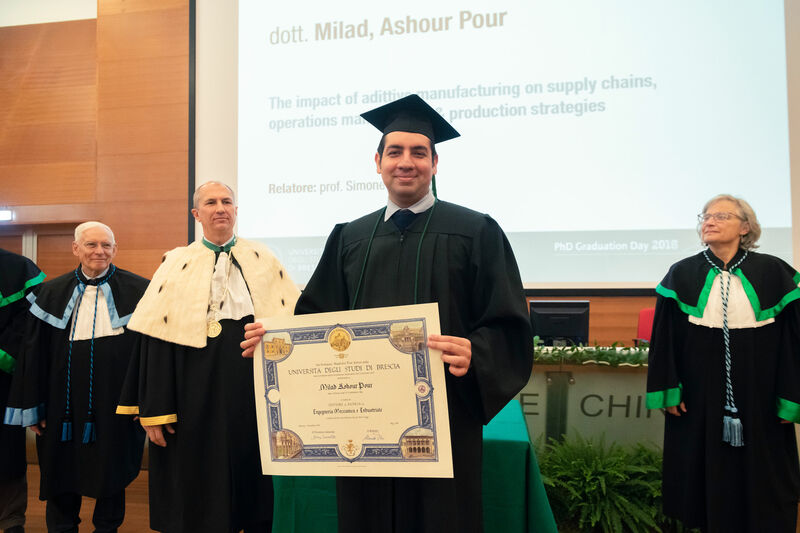 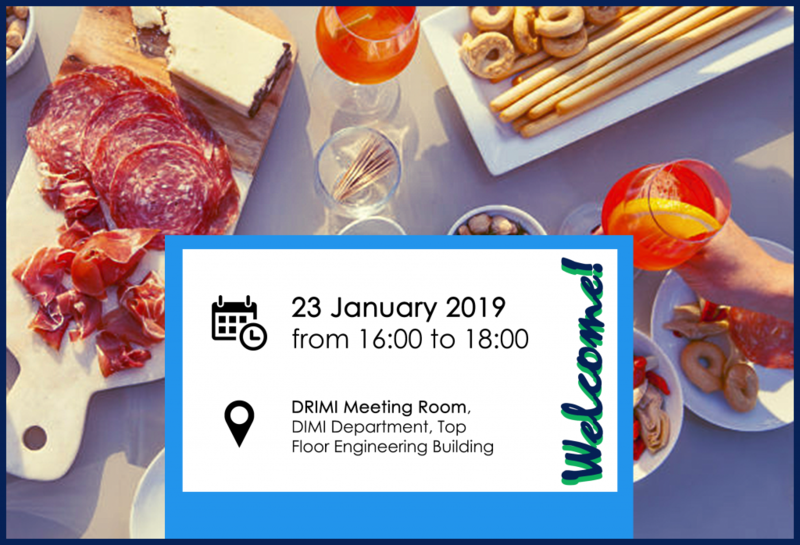 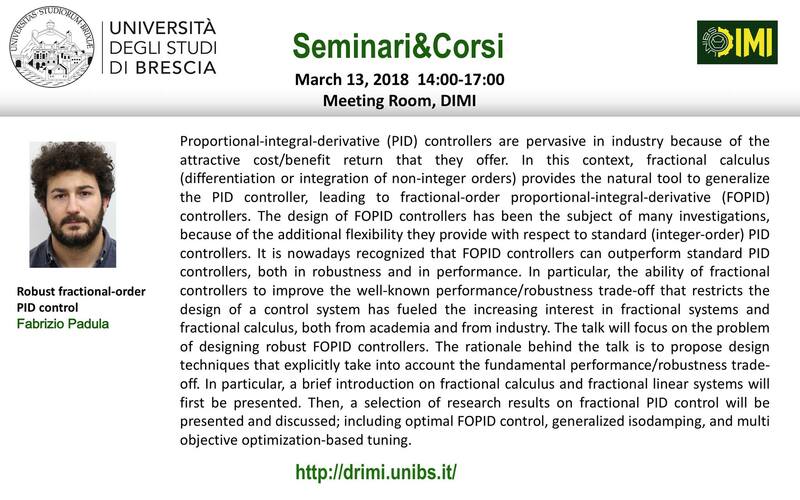 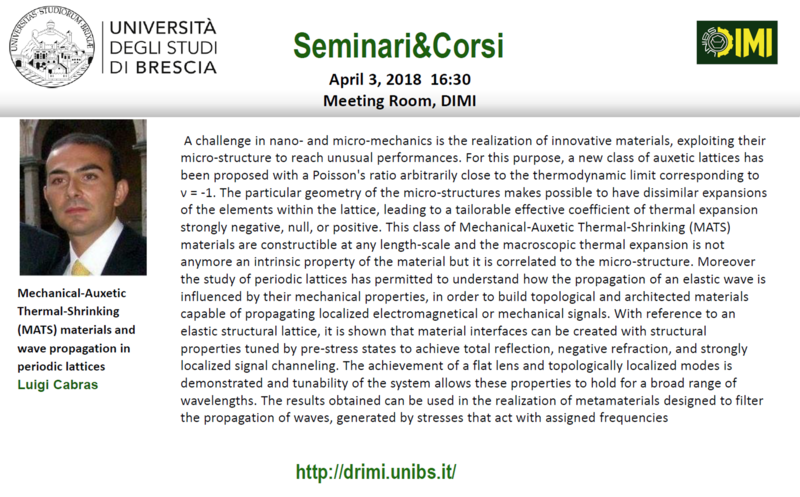 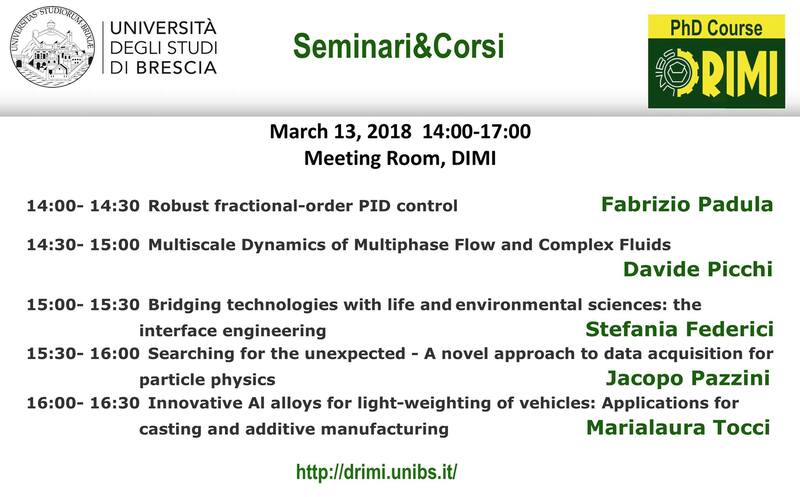 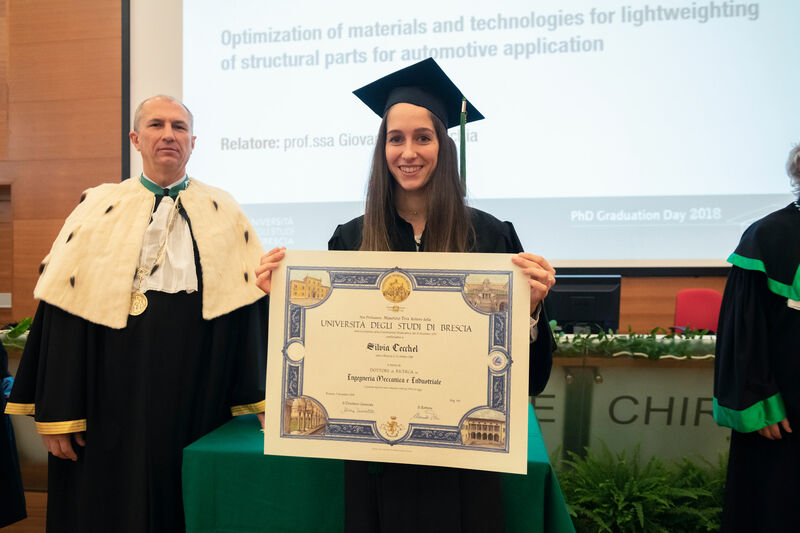 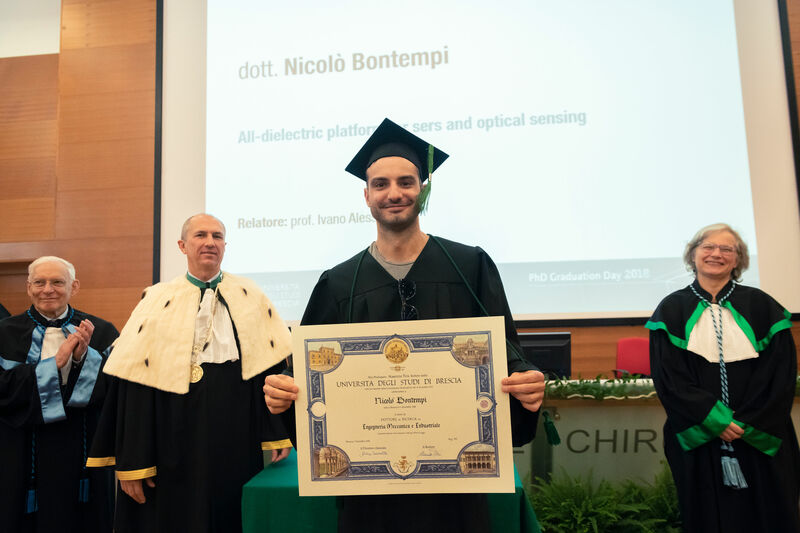 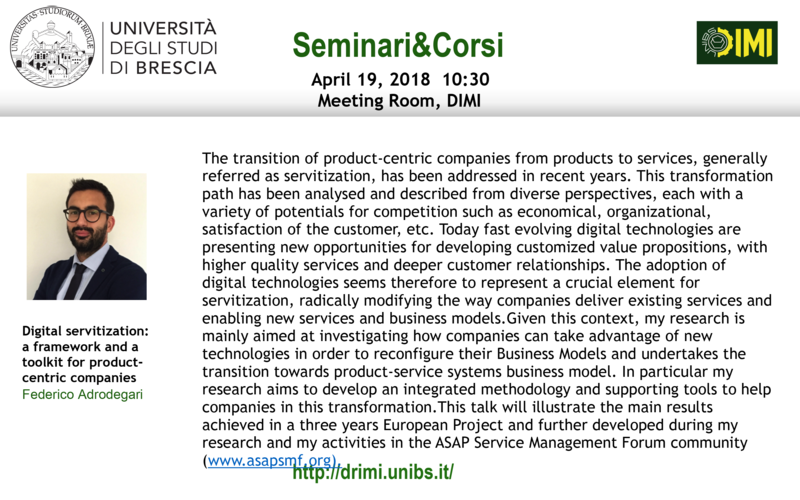 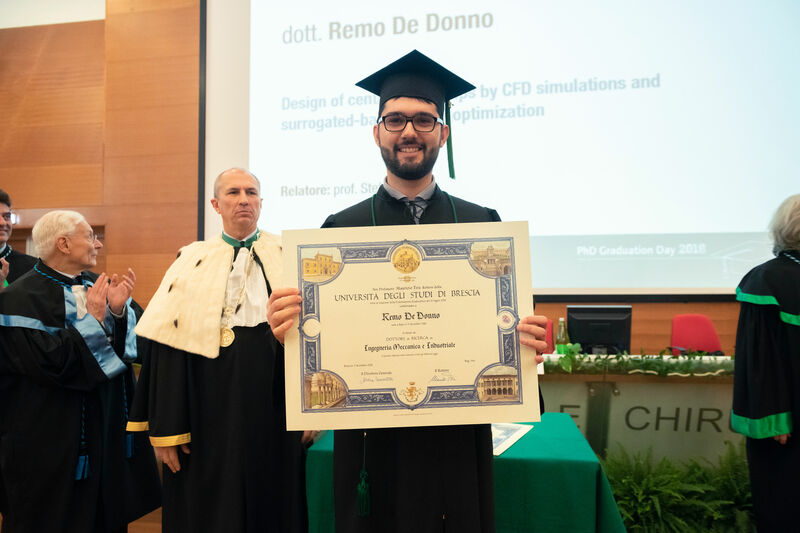 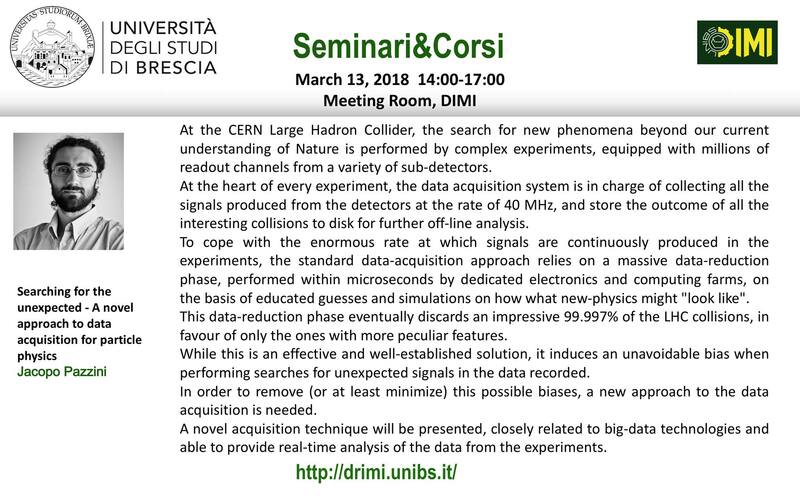 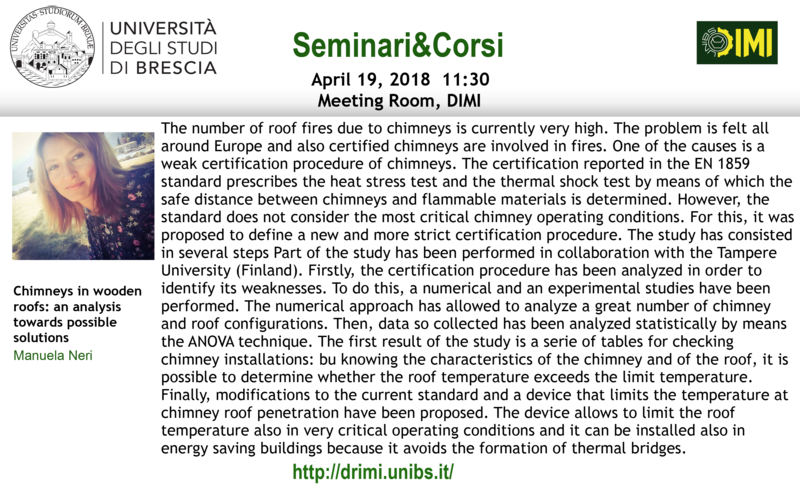 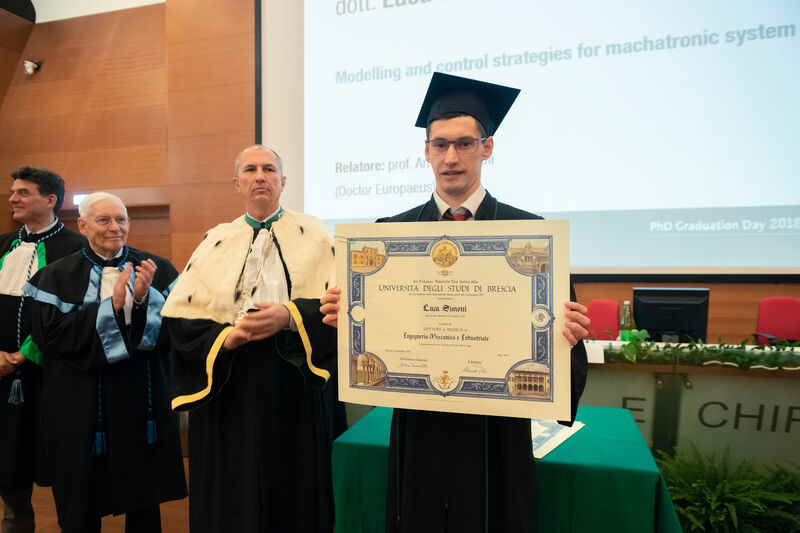 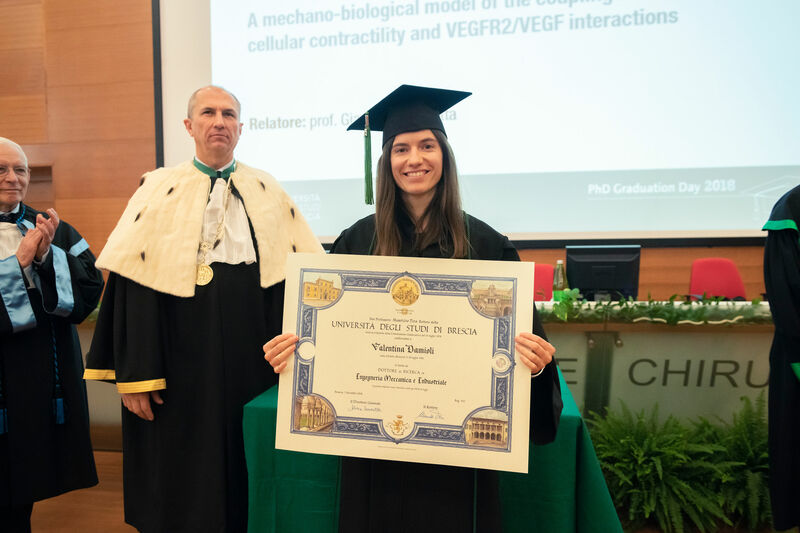 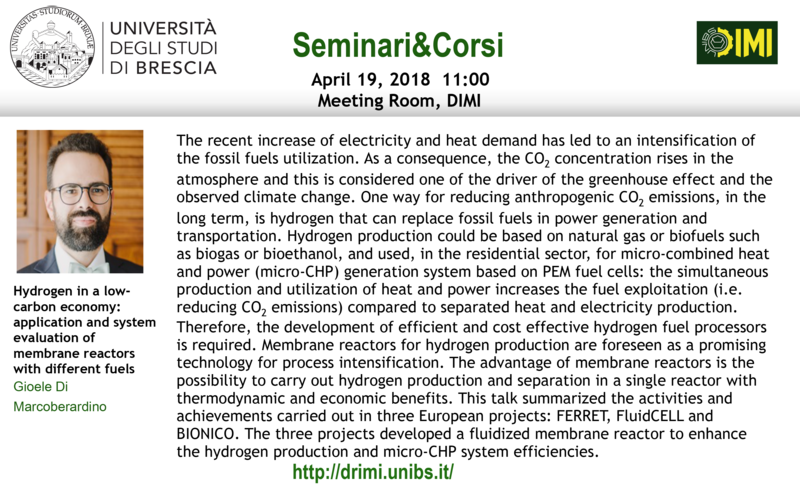 The Commission, appointed by the AIM Board of Directors, chose the thesis of Dr. Tocci, entitled “Investigation on the effects of Cr in addition to an AlSi3Mg alloy” developed during her PhD at DRIMI in 2016. 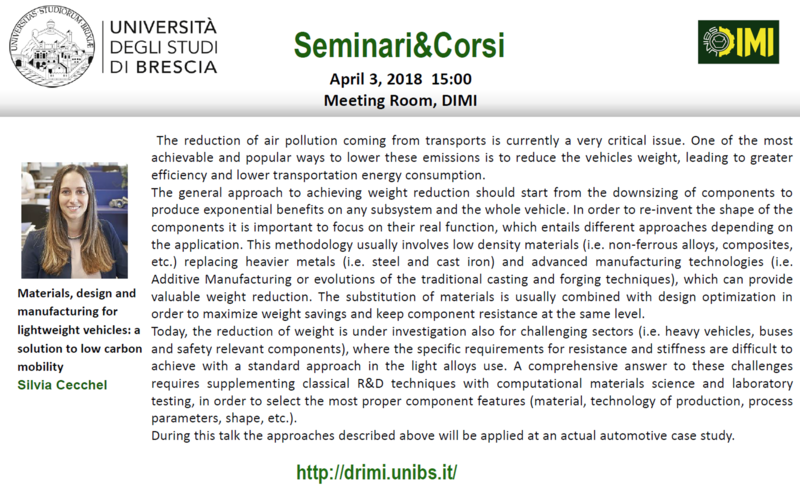 HAF – Aliminium hybrid forging. 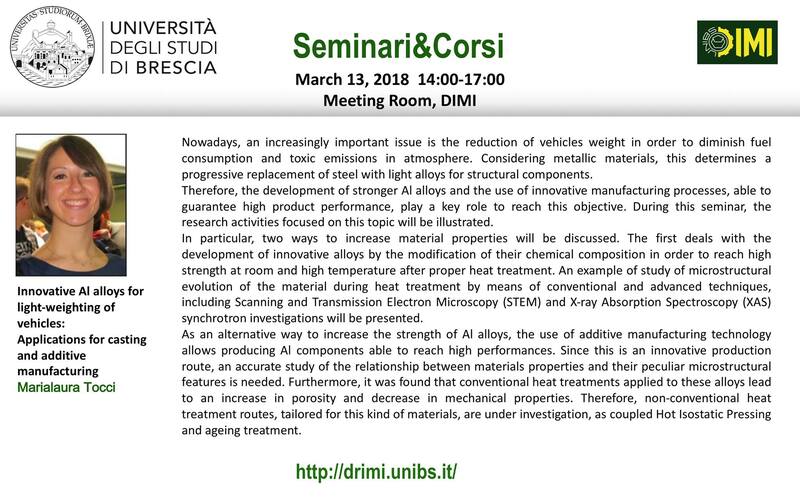 The research work involved the study and characterization of a new light alloy. 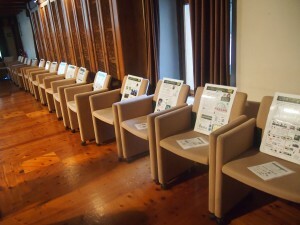 At the time of the competition, it had 8 indexed articles on Scopus, some of these with foreign co-authors. It was also presented at national and international metallurgy conferences. 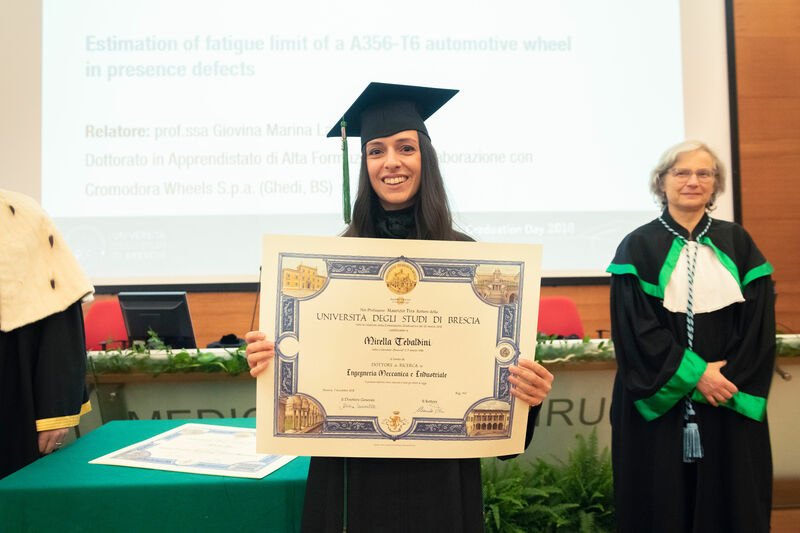 The awarding of the Prize to Dr. Tocci took place during the opening plenary session of the 37th National AIM Convention, which was held in Bologna from 12 to 14 September 2018.